Bananas come from tropical and sub-tropical areas. According to Chaquita, it takes about two weeks for bananas to reach your grocery store once they're picked. That two weeks gives your bananas plenty of time to ripen -- or over-ripen, depending on how much additional time the bananas spend at your grocery store or on your kitchen counter. With a watchful eye and a few tips, you can ensure your bananas pass the freshness test before you bring them home or eat them. 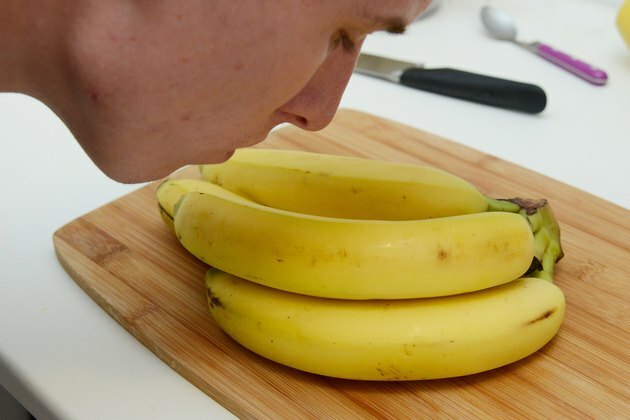 Smell the banana and pay attention for a mildewed, moldy or rotten scent. A bad scent usually means the banana is rotten, either inside, outside or both. Examine the skin. Look for mostly yellow skins with a few brown spots. Some browning usually means the bananas are just right. 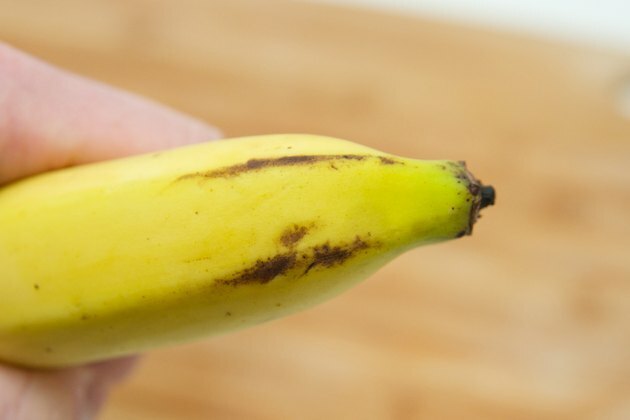 Avoid bananas with extensive browning or mold on the skin, as they're not likely to last long at home and may have started to rot on the inside. Check the banana for firmness by giving it a gentle press or squeeze. Bad bananas will feel very soft and mushy. Unripened bananas will feel hard with little give. A good banana feels soft but not mushy. Peel the banana and check the fruit for brown or black spots. 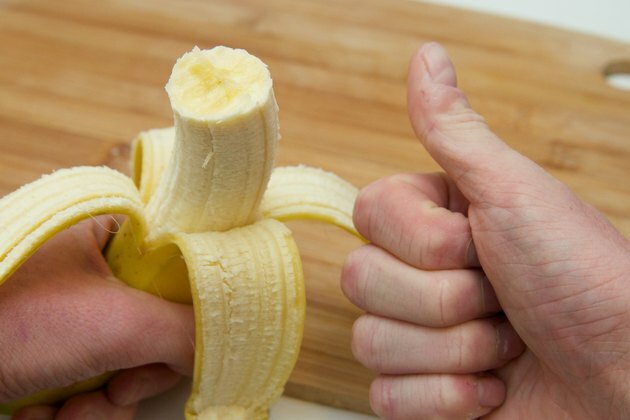 If you see one bad spot, simply cut it away and enjoy the rest of the banana. If you see extensive black or brown spots on the banana, it's bad. Take a bite. If the banana tastes good, even though it's a little mushy or has some brown spots, it likely means it's OK to eat. Some people prefer slightly mushy or over-ripened bananas. If the banana tastes off, throw it away and get a fresher banana. 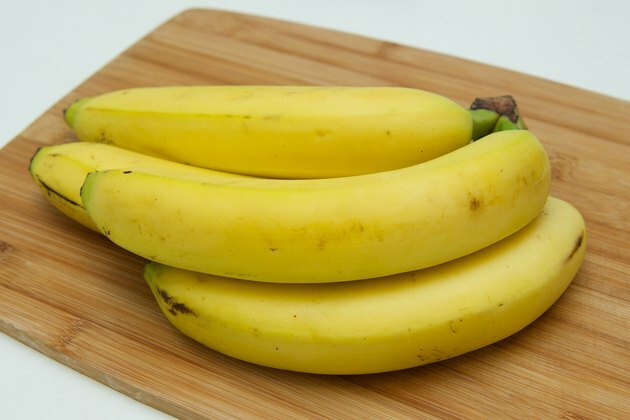 Over-ripened bananas that you don't want to eat can be peeled and frozen for use in frozen drinks or baking. Never buy bananas that have cuts, gashes or other serious damage to the peel.